When I asked my client today how she was, she shared what was going on with her husband. This is always my tip-off that she is entangling her sense of self into other people. When the distinction of whose stuff is whose is blurry, you can feel confused, helpless, powerless and drained. Maybe you have heard the term codependency? This refers to the stage of development that involves wrapping yourself around others, merging into others, gaining self-worth from others’ approval. Our brains and nervous systems seems to be wired this way, just as primitive tribes and clans who had to band together for survival. As a counselor and coach for many decades, I have witnessed the developmental stages of children, teens, and adults. Yes, adults go through stages too! I have named these Dependency, Codependency, Independence, and Interdependence. If you notice that others’ problems may become yours, others’ moods and feelings blur with yours, you get triggered when someone else gets triggered, or you worry about how to help others… this could point to codependency. Take this quick quiz to score yourself, from p.32-33 in our book Secrets of a Soulful Marriage: Creating and Sustaining a Loving, Sacred Relationship, Chapter 2: Breaking Loose. ______ I am afraid of being rejected or abandoned. This fear makes it difficult for me to end a relationship, even when I feel very misunderstood or mistreated. As a result, I end up feeling trapped. _____ I too often try to take care of my loved ones, neglecting my own needs, feelings, and interests. _____ I tend to feel overly responsible for my partner’s feelings and problems. _____ I tend to either dominate my loved ones or to behave submissively. _____ I frequently blame or shame my partner. _____ I am told that I am too controlling or manipulative. _____ I feel so entangled with my partner that I often take on his/her moods. _____ I lack clear boundaries and the confidence to assert myself. The higher the score, the more likely you are to be stuck in restrictive patterns of thinking and behavior that reflect your codependency. If you have a score of 24 or more, be gentle and compassionate with yourself. By becoming more aware and proactive, you can move toward being more independent. See page 33 in our Secrets of a Soulful Marriage book to take the 21-day challenge toward shifting to new, healthier patterns of thinking and feeling for yourself. Individuating can be scary and evoke vulnerable feelings, challenging your primitive brain into fearing extinction if you separate from the others. Meeting with a coach or counselor can help guide your way on the path from codependency to independence. Crossing the threshold of being more self-confident, mindful, and self-aware is a freeing process! As you become more clear on your boundaries and who you are, you can engage with others in interdependent ways that serve your evolving sense of Self. Let me know how I may serve you in your journey. Feel free to comment here about your quiz results or any questions you may have. Please LIKE our Facebook page and join in the conversation there! P.S. Have you experienced coaching with us, read one of our books, or attended a workshop we facilitated? We’d love to hear your feedback on our Yelp! page. Ruth Sharon is a relationship coach, Licensed Professional Counselor (LPC) and Registered Yoga Teacher (RYT). Her passion is facilitating couples to enhance the vitality of their relationship and make healthy lifestyle choices. Ruth shares her wisdom, compassion and humor with individuals, couples, families, and groups. Ruth and her husband, who have been married since 1970, co-authored Secrets of a Soulful Marriage: Creating and Sustaining a Loving, Sacred Relationship, SkyLight Paths Publishing, 2014. They are delighted to offer coaching for couples and singles, in person and virtually, as well as transformative couples’ retreats, seminars and online courses. I Really Need Your Love! In this month dedicated to celebrating love, especially romantic love, I’d like to discuss the influence of much of the music written for lovers and for broken-hearted people. A preponderance of love songs over the decades have included flagrant codependent messages reflecting obsession, desperation, and excessive reliance on a partner for stability, strength, or validation of one’s self-worth. Some songs speak of giving one’s entire self to the other, supposedly as a noble expression of devotion, while others refer to continually matched emotions--enmeshment. I will offer numerous examples of these romantic songs, many of which have been top hits, and I’ll also provide several examples of songs with healthy relationship motifs. Unfortunately, the latter are less common. Love and Some Verses, Sam Beam of Iron and Wine, 2004: a whimsical and compassionate song that depicts a committed deep and meaningful romance. I would welcome your comments and additional contributions to these contrasting lists. 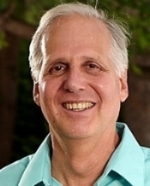 Jim Sharon, EdD is a licensed psychologist and couples' coach who has over four decades of professional experience serving thousands as a counselor, as a life and relationship coach, and as a seminar and retreat facilitator. Dr. Sharon has authored two books and many professional publications, most recently, Secrets of a Soulful Marriage: Creating and Sustaining a Loving, Sacred Relationship (with Ruth Sharon, MS), published by SkyLight Paths, 2014. Jim and Ruth have been married since 1970, have raised three adult children, and have two young granddaughters.